Background/Purpose: Biologics in combination with methotrexate (MTX) are being incorporated earlier in rheumatoid arthritis (RA) therapy to prevent long-term damage and maintain patient function. While some patients transition off TNF inhibitor (TNFi) + MTX combination therapy (Combo) to monotherapy (TNFi mono or MTX mono), differences in patient characteristics and attainment of disease control for the Combo and monotherapy groups are unclear. Methods: Data were obtained from a prospectively collected cohort at a single academic medical center from 2003 to 2016. At study visits every 6 months, a range of patient and treatment variables were recorded. This analysis included patients who received Combo while in the cohort and were followed; patients were categorized into three groups: continued Combo, switched to TNFi mono, or switched to MTX mono. Baseline was the date of first recorded use of Combo at or following entry to the cohort. Index was the date a patient switched to monotherapy, or for continuing Combo patients, baseline + 24 months (based on average time to switch in monotherapy groups). Predictors of disease activity scores at index were analyzed with ANCOVA. Results: TNFi + MTX was used by 341 patients, with 46% remaining on Combo and 31% and 23% switching to TNFi mono or MTX mono, respectively. Half (51%) of the switches to monotherapy occurred in the first year after baseline, with an average time to switch of 23.4 months. Patient characteristics at index were significantly different across groups for mean age (older for switch to MTX mono) and biologic initiation era (less in late era for switch to MTX mono); nonsignificant trends were seen for gender and disease status (Table 1). Disease Activity Score 28-joint with C-reactive protein (DAS) at index was predicted by early TNFi initiation era (p=0.0072), longer disease duration (p<0.0001), and higher baseline DAS score (p<0.0001), but not by treatment group (Table 2). Other disease activity measures had similar predictors at index, except Rheumatoid Arthritis Disease Activity Index (RADAI), which was predicted by higher baseline RADAI score (p=0.0004) and marginally by treatment group (p=0.0503) (Table 2). Conclusion: Over half the patients on Combo transitioned to TNFi mono or MTX mono, a majority during the first year of combo therapy on study. Patients switching to MTX mono were older than patients continuing Combo or switching to TNFi mono, but not much different in disease activity or time on therapy. Disease duration and baseline disease activity had the greatest influence on disease activity at the time of medication change. Disclosure: N. A. Shadick, Bristol-Myers Squibb, 5,Amgen Inc., 2,Mallinckrodt, 2,UCB, Inc., 2,Crescendo Biosciences, 2,Sanofi, 2,Bristol-Myers Squibb, 2,DxTerity, 2; M. E. Weinblatt, Amgen Inc., 5,Bristol-Myers Squibb, 5,Crescendo Bioscience, 5,UCB, Inc., 5,Amgen Inc., 2,Bristol-Myers Squibb, 2,Crescendo Bioscience, 2,Sanofi/Regeneron, 2; C. K. Iannaccone, None; M. Frits, None; T. Davis, Health Analytics, 3; C. Young, Health Analytics, 3; D. H. Collier, Amgen Inc., 3,Amgen Inc., 1; M. Gharaibeh, Amgen Inc., 3,Amgen Inc., 1; B. S. Stolshek, Amgen Inc., 3,Amgen Inc., 1. Shadick NA, Weinblatt ME, Iannaccone CK, Frits M, Davis T, Young C, Collier DH, Gharaibeh M, Stolshek BS. Characteristics of Patients and Predictors of Composite Disease Activity Scores for Switching to Monotherapy Vs Continuing TNF Inhibitor and Methotrexate Combination Therapy in RA: A Retrospective Analysis of the Brigham and Women’s Rheumatoid Arthritis Sequential Study Registry [abstract]. Arthritis Rheumatol. 2018; 70 (suppl 10). 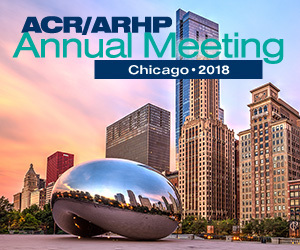 https://acrabstracts.org/abstract/characteristics-of-patients-and-predictors-of-composite-disease-activity-scores-for-switching-to-monotherapy-vs-continuing-tnf-inhibitor-and-methotrexate-combination-therapy-in-ra-a-retrospective-ana/. Accessed April 21, 2019.